For those keen to join the 2019 Development Squad some initial information is provided here. The Development Squad provides the pool of climbers from which the GB Climbing Team is selected for international youth competitions. Selection days for the 2019 Development Squad will take place at Awesome Walls Sheffield on 17 & 18 November. Selection will be delivered following the same format as the selection days delivered in December 2017 for this year's squad. The performances of climbers at selection will be used to identify those climbers invited to join the 2019 Development Squad. The 2019 IFSC age categories for Junior, Youth A, B & C will be used for November's selection, and so the youngest climbers eligible to attend are those who are competing in the top of the 2018 Youth D age category. To be eligible to attend selection, all climbers must fulfil condition 1 (Orange), and one or both of the other conditions listed below (White). 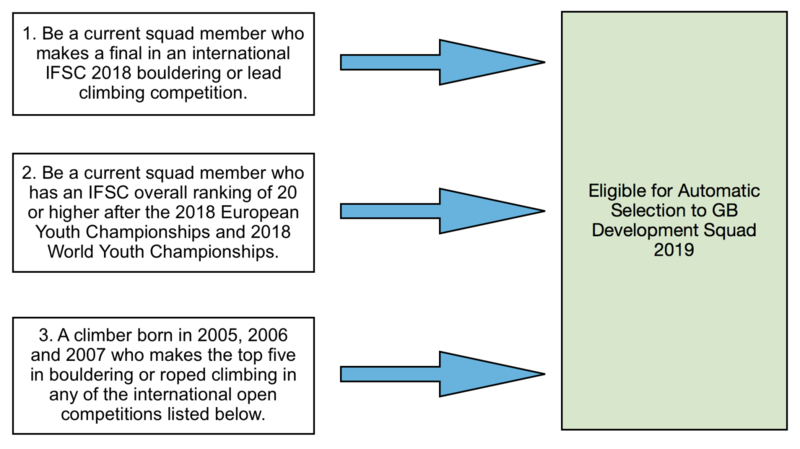 Climbers can also be automatically selected for the 2019 Development Squad, and therefore not required to attend selection. To do so, climbers must fulfill one or more of the conditions below. (However, current squad members born in 1999 will not be Juniors in 2019 and so ineligible to join the 2019 Development Squad). It is hoped that the information provided here will help those climbers wishing to join the 2019 Development Squad to plan their 2018 competition calendar. Details about the BMC's 2018 competitions will be available on our website shortly. 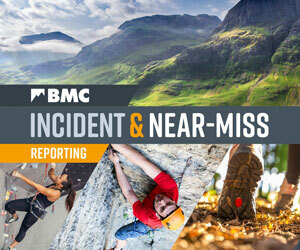 Mountaineering Scotland provides information about their competitions. Futher details about November’s selection events will follow in due course.